Getting there is effortless thanks to clearly marked signposts bearing names and directions. At its end is the main entrance, and parking fees range between IDR 2,000 and 5,000 for motorcycles and cars. The beach is only a dozen steps down from the cliff, but it’s a good idea to head up the hills beforehand and take a peek from the vantage point for great panoramic angles. The golden stretch of sand meets the vast blue ocean, and you can see from afar the surfers having fun in the breaks. Those into photography will love to linger on for the dramatic sunsets from above. It is swimmable here, but bear in mind it’s a predominantly a surfer’s playground. There are no lifeguards on duty. Several thatch-roofed and stilt terrace warungs (traditional food stalls selling simple meals, snacks and refreshments) and cafes dot the eastern side of coastline, where surfers usually ‘refuel’ in between their thrills. Best time to come with a surfboard if you’re a pro is around the dry season (between May and September) when south-westerly winds create from 2.5ft up to 10-feet swells which can roll on for a good 500 metres. Non-surfers can simply enjoy the view and the coast itself, with parasol-shaded beach beds available for rent, or you can simply bask under the sun, and bury yourself in the soft sand. At low tide, the reef near the limestone cliffs reveal exotic seaweed covered rock formations and pools, offering even more dramatic sunset angles. 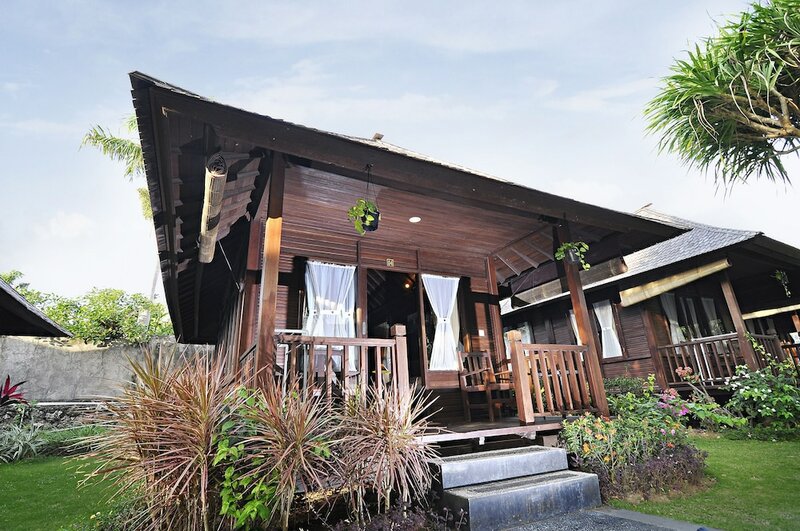 Great budget accommodations are available around Balangan Beach, such as the Balangan Garden Bungalow and the Balangan Cottage, which each feature rustic styling with modern amenities.